Transformation. Conversion. Alteration. What precipitates change? Definitely, hitting the wall can. Or a crisis situation in which a human being gets a sudden clear picture of his or her limitations and insufficiencies. A moment of glory, too, can turn us around: a transcendent moment, a revelation of a reality beyond the routine of mundane habit. So the first question is, “What makes people change?” and the second question is, “What good is a ‘faith’ that doesn’t?” Without a transformation, what good is religion? 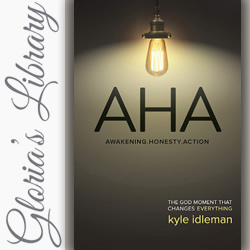 In his book, AHA!, about the change-points that actually transform, Kyle Idleman leads the reader through the three stages he says are necessary to bring about a life-altering “Aha!” moment and set us on a new path. The first is a sudden awakening, a “coming to your senses.” This new realization may be generated by a positive moment, like falling in love, communing with nature, or an undeserved mercy. Or it could be a negative happening, like a neardeath experience, a spiraling out of control, or a time of monumental failure. But whatever brings it about there must be a wake-up-stupid jolt into a new awareness. But it takes more than an alarm clock to change the soul. There also has to be a time—usually a painful time—of brutal honesty. No more rationalizing the truth away. No more blaming someone else. No more living in denial. An awakening worth its salt must bring a coming to grips with the real culprit, and, as Commodore Oliver Perry once said, “We have seen the enemy…” and, guess what? He is in the mirror! 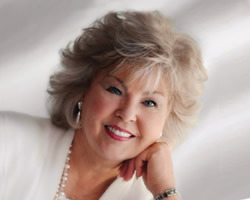 But even an awakening and a gut-wrenching honesty will fall short unless we “get up off the couch,” or, as the prodigal in the pigpen put it, “I will arise and go home.” We have to get up and go home—to God, to our messed-up and embarrassing past false reality, to whatever work it takes to get whole, and most of all, to the self God created us to be. Even the self-righteous older brother had to do that. He had to swallow his I-can-earn-myway self-sufficiency and learn to dance! I recommend Idleman’s book for personal evaluation and for group growth. There might be an Aha! moment just around the corner.